She was dressed in a light blue, almost-white shirt, a cobalt blue shalwar and a dark grey sweater. Around her neck was a grey shawl, muddied on the side shading it brown. Skinny arms, large, work-beaten hands, stiff, raised on one side, her fingers folded, covered in mud, her nails white, clipped to the point of being bitten. Her body was that of an 11-year-old, her face covered in bruises, dark, many. Her hair was scraggly, as if shorn by a child. Her tongue had a cut. Her chest had cuts. Her dead body was found in a large drain. She was 16 years old. Her name was Uzma. 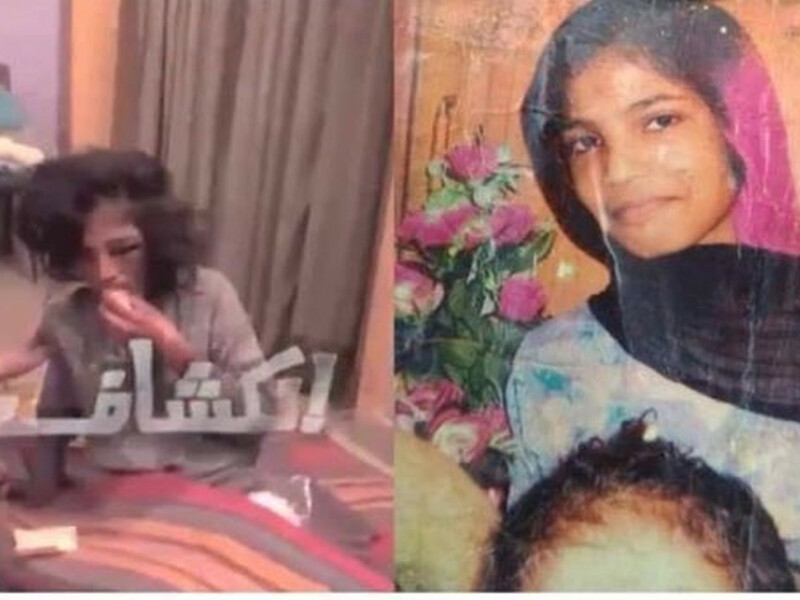 In the last week of January 2019, Pakistan saw images of the dead body of a teenager who worked as domestic help in a house in Allama Iqbal Town, Lahore. The outrage was tremendous, and because of the intensive media coverage of the body of a girl, almost a child, found in a drain, a case clearly of torture and manslaughter, the quick investigation led to the arrest of one perpetrator and her two accomplices. The story that unfolded was so dark it not only enraged and grieved people across Pakistan, it also started a much-needed discussion on the topic that despite being very important and frequently in news is apparently of so little importance to most people embroiled in their diurnal battles, it has never really received the importance it deserves. Rampant is violence on children and teenagers employed in domestic service, titled maids and servants in an age where political correctness has forced people to cloak their blatant condensation for the have-nots in words that flimsily hide the stark lines that divide society in binaries of who is to be treated well, and who is to treated worse than an animal. The cruelty that takes place in plain sight, the ruthlessness that is so commonplace it is almost invisible, the apathy that is so obvious it is as if lit by garish neon lights. In a society where to keep underage children as domestic help is against the law but is still a common practice, the outrage over Uzma’s death should be that pivotal moment when things change. But how do you teach someone to not be cruel to a child whose familial destitution compelling her or him to say a hurried goodbye to a childhood unlived force her or him into a life of labour that despite being inside a house is not better than that of a life being wasted in a prison for hardened criminals? Not all children working in a house are mistreated. Not all employers hit them or keep them under-fed, little-rested, beaten and over-worked. Not all children feel their status is worse than that of the German Shepherd kept on a leash the whole day and only allowed to be unchained at night to protect the house. This is not the story of those children; it is that of Uzma and many like her. It is the story of the 10-year-old Tayyaba. She was brutally beaten, and those who subjected her to cruelty were a woman and her husband who was a judge. It is the story of Mohammad Imran who was strangled to death after being beaten and tortured. Those who did that to him were the ones who had employed him for a measly amount of money. It is the story of the teenager Akhtar Hussain who was killed. Before he was killed he along with his sister were beaten and tortured. The perpetrator was the daughter of a member of parliament belonging to a party currently in opposition. It is the story of the 11-year-old Kinza who was beaten and tortured by her employer, a female who is a major in the army and her husband who is a doctor. It is the story of the 12-year-old Taqi Usman whose employer clubbed him to death for forgetting to feed the domestic pet. Their stories create outrage, much is said, much is promised, laws are tightened, but nothing really changes. Law cannot be a substitute for a little thing called empathy, that thing of little importance, humanity. And who cares about words that merely sound good in a human rights manifesto, a feel-good movie, a UN platform, in the noise of TV headlines? As per a 2004 ILO study, the number of children in domestic service in Pakistan was 264,000. In 2012, the number reached a staggering 12 million. Pause and think. As you hug your daughter goodnight, as you kiss your son’s tears away, as you watch your children rush to you tired and happy after school, as you laugh when your son emotionally blackmails you to buy him a new PlayStation or the latest iPhone, there are 12 million children who are poor, out of school, away from their family, forced to work beyond their physical capacity, and treated even if not badly like an untouchable in millions of homes just like yours, just like where children like your children have children their age or younger than them waiting on them, obeying their orders. Think. Hard. Where did we all go wrong? How did we let it happen? How was humanity shoved in the background that it became unnoticeable that so many children were being treated like no child should ever be treated? When did society’s need to save money become so huge that the little bodies of children were made to work in a manner that defied all accepted norms of being human? When did it become just another thing for people with children to beat, torture and kill poor children whose parents trusted them with their life? When did homes of apparently normal people become so dangerous for children with skinny limbs and an under-nourished body? Uzma was frequently beaten, forbidden to meet her family, was always under-fed, and made to sleep on the cold floor of a bathroom. Uzma was employed on Rs 4,000 per month. That is Dh105. One day she took a bite from the plate of her employer’s daughter. She was hit on the back of her head several times with a large ladle, until she lost consciousness. Instead of taking her to a hospital, to be revived she was given electric shocks. A woman, her daughter and her friend, three women are guilty of beating a child and keeping her internally bleeding body hidden for so long it resulted in her death. Then they dumped her body in a drain. For one bite of food one precious, innocent life was lost. There is merely one thing to be said: no poor child should be in any service, domestic or other. Period. It is on all of us. It is on the system that divides. It is on governments that remained apathetic to the reality of the life of the underprivileged. It is on parents who become careless once they leave their children in the service of those who promise to treat them well. It is on those who keep children in domestic employment. It is on those who mistreat them. It is on those who see it all and turn their face away. It is on those who don’t speak up. It is on the law that exists but doesn’t work. It is on those who accept the stories of perpetrators and not punish them on the pretext of legal loopholes. It is on the absence of empathy, compassion and humanity. The death, the murder, of the child Uzma is on the collective conscience of Pakistan. I don’t expect anything to change. All I can do is see, react, speak up, not let it happen around me, and wait for justice to be done to Uzma and all other children like her.